Mark Weaver walked through a series of offices with brown carpet in an office building in the center of Wasilla. He tried really hard to make the normal-looking space seem exciting. 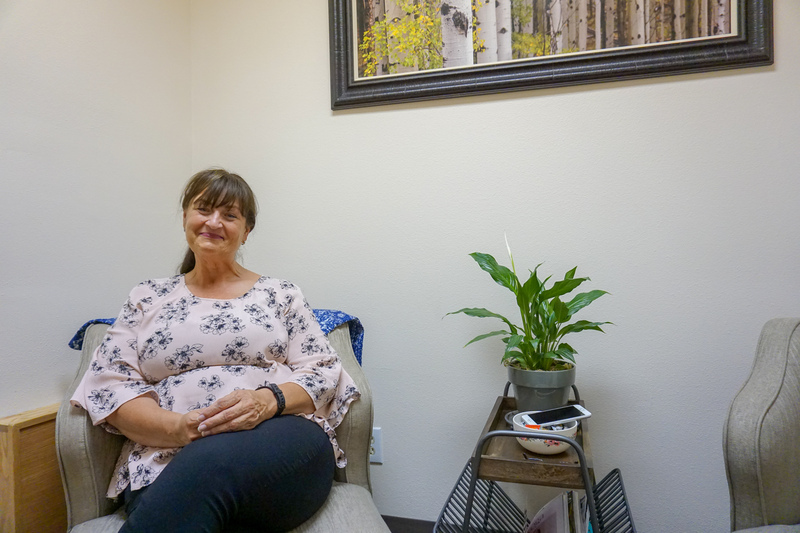 But it’s not the physical space that matters as much as what’s starting to happen at the new Mat-Su Recovery Center — conversations that help the entire community cope with effects of addiction and find paths for healing. “It’s really just a safe place to come where people can talk about what’s going on and help to find solutions,” he said. People share strategies from their own lives and available resources. Weaver is a peer support specialist at the center, which offers everything from substance abuse assessments in the beginning to post-treatment support at the end. 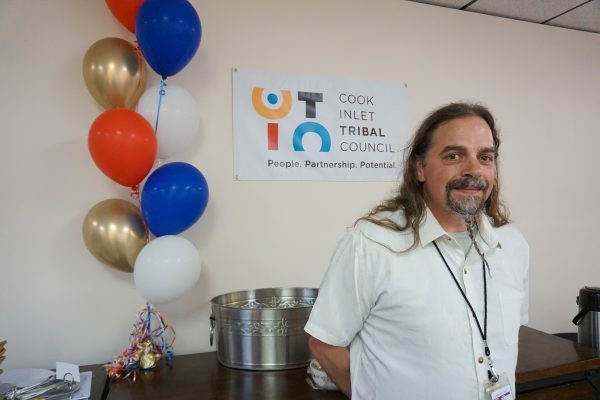 It’s a new partnership between the Knik, Chickaloon, and Cook Inlet tribal councils that’s funded by a $1.16 million start-up grant from the Mat-Su Health Foundation. The partners opened the program because community members asked for it. 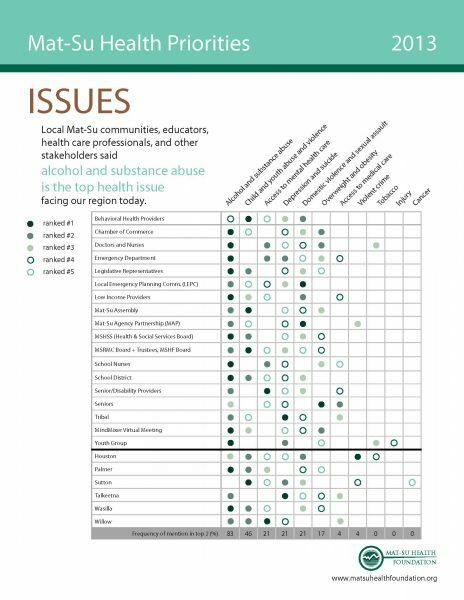 In a 2013 Community Needs Assessment, local residents said that substance abuse was the area’s No. 1 problem. The new center is trying to solve the problem with a variety of strategies, including peer support. Weaver was a perfect candidate to fill that role. He started his recovery 31 years ago, when he first went to rehab at 16. It’s been filled with ups and downs since. Recovery is a process, many people say, and it has to start somewhere. Weaver didn’t use for a while, and even tried to help his girlfriend stop too, but he got really sick and started taking drugs again. It was all part of the cycle. He was sober for 11 years at one point, before alcohol crept back in. Drinking a beer wasn’t a big deal that day, Weaver recalled, but it became one. Now, he’s using those difficult lessons to teach others. Research by CITC indicates guidance from peer support specialists, like Weaver, can be more effective than advice from professionals who learned about the topic from classes and books. Senior director for recovery services Rebecca Ling runs the program, which is modeled after the services provided by CITC in Anchorage. 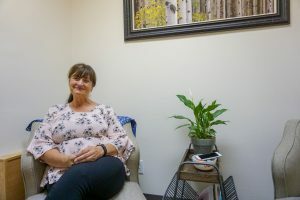 She said a recent study of participants in the Anchorage program shows that people who receive peer support have better prospects for long-term recovery. “People that have peer support reported that they were more engaged in the community, that they felt more connected to their culture, and that they just felt more stable in their recovery,” she said. Peer support is available before, during, and after treatment. And peers aren’t just there for people in recovery. Community health assessments showed that residents wanted support groups for anyone affected by addiction, so for the first time in the Mat-Su Valley, they’ll be getting them. “What the community is asking for is a group where people that are impacted by substance use whether it’s because their child has suffered, they’ve lost their niece, their business is impacted,” she said. “They can go to this group and talk about that with people with lived experience in the group to really understand the dynamic of addiction.” They can ask questions about the best way to help someone. He and other staff members are taking that knowledge out of the plain office building and into the community through the partnerships with the tribes and youth organizations. He said they’re trying to get people past the stigma associated with substance misuse and just start talking. This isn’t the only path to recovery and resilience. Check out more ideas on the Solutions Desk or subscribe to the Solutions Desk podcast. Subscribe to the podcast on iTunes, Stitcher, Google Play, or NPR.